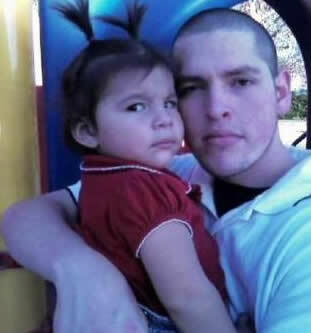 Manuel Diaz Shot in the back of the head and buttocks July 21, 2012 by Anaheim Police officer Nick Bennallack as he ran after fleeing Diaz. Killer Anaheim Cop Nick Bennallack runs after unarmed man and shoots him in the back of the head. This is how police get away with murder, anyone else shooting a fleeing person in the back would be in prison. The fact that police often rationalize criminal acts due to them being above the law is now common. 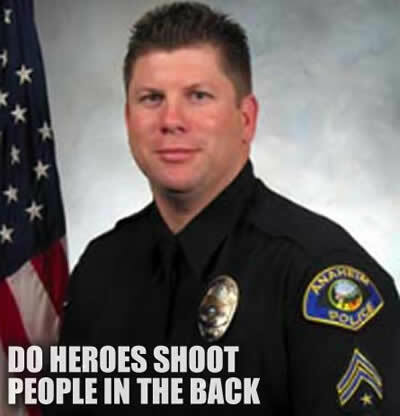 Officer Nick Bennallack is nothing more than a bully with a gun, a problem person who found his way into a uniform. What kind of person runs after a fleeing, unarmed person and shoots them? Each year thousands of people join the forces against police when such ridiculous murders take place. Government supports them, defends them and actually is encouraging police to kill. “The killings take the tally of officer-involved shootings to six so far this year, up from four a year before, said Anaheim police Sgt. Bob Dunn.